Our staff is available to provide informations, make reservations for museums, special visits, tastings, coordinate transfers or any other request. 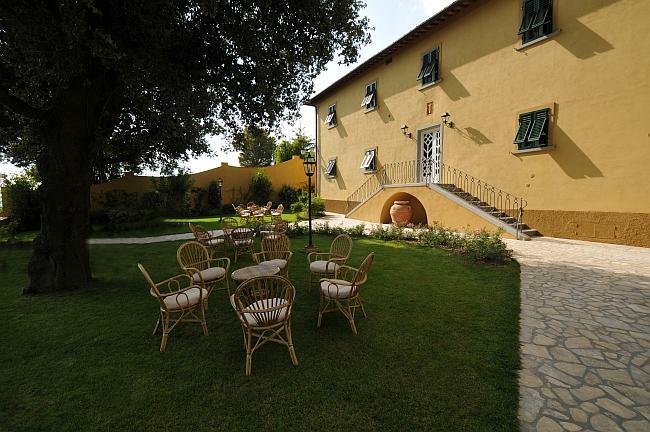 The place is beautiful and very quiet, the Tuscan hill seen from the villa alone is worth the trip. Close to many artistically interesting places. We were looking for a place to relax and recover after months of hard work, and we found it: silence, art and good food. Spacious rooms, well furnished and complete with everything you need. Excellent reception, efficient and not at all invasive. Good restaurant near the villa, with typical and particular cuisine, maybe not very cheap but certainly quality. The owners were similarly very professional and very courteous, the structure is perfectly inserted in the hills between San Gimignano and Volterra in a perfect position for visits to the localities of the area, the silence and quiet reign supreme. The apartment absolutely complete of every necessity, very clean and, very rare, of the necessary for the breakfast (milk, coffee, tea, water, tarts). The park and the swimming pool are also perfect. Present free wireless. Also to consider the adjacent restaurant, both for the courtesy and for the accessible costs. It is the second time we return and we will be back for sure. Lovely place. Federica and Lavinia are very kind and always available …! Located in the beautiful Tuscan countryside and close to Volterra and San Gimignano, however, isolated enough to enjoy the tranquility. Our return was to be close to the Andrea Bocelli concert in Lajatico.